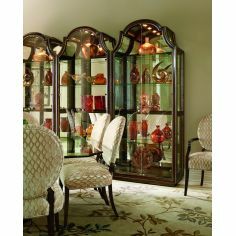 Equip your living room with a stylish storage space in form of the Glass Cabinet with Storage Drawers. 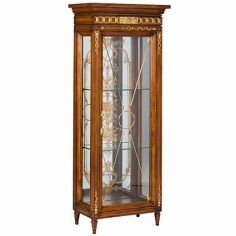 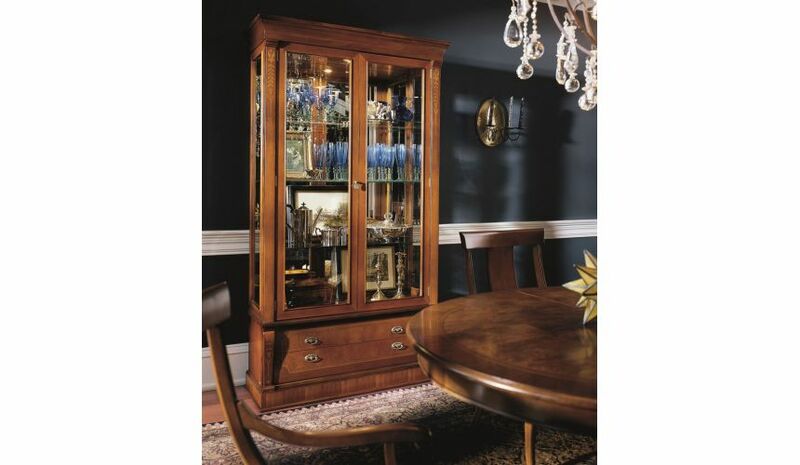 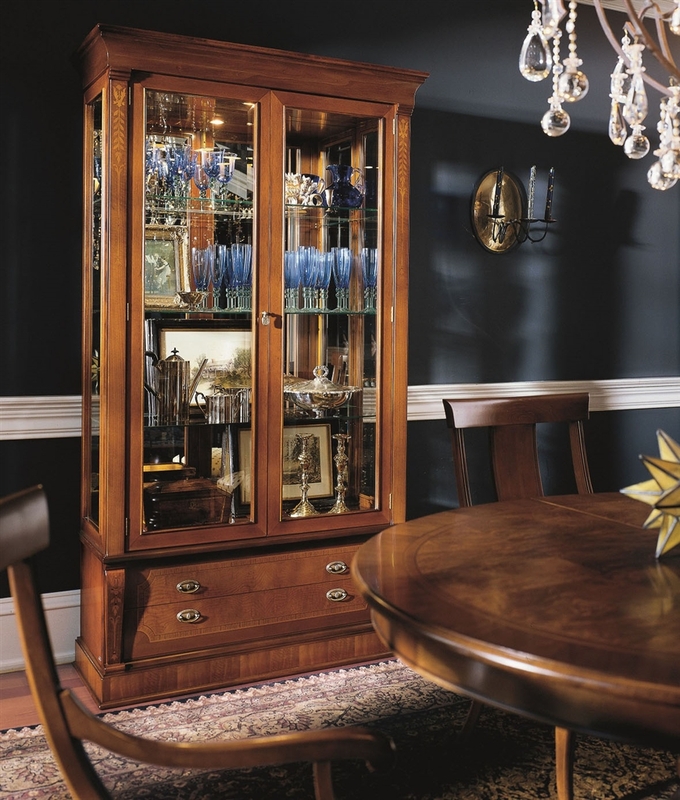 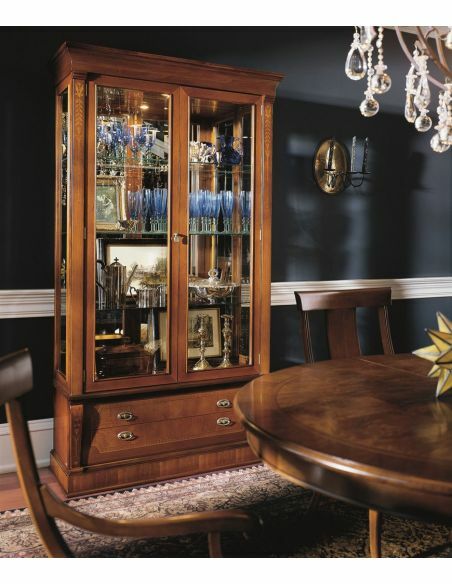 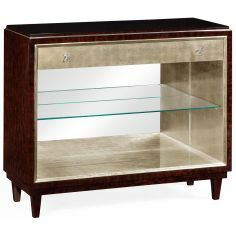 This showcase features a spacious door cabinet with three adjustable glass shelves. 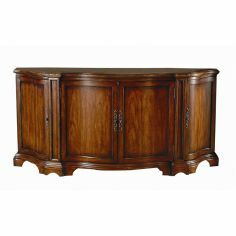 Two drawers at the bottom offer convenient storage options for your belongings. 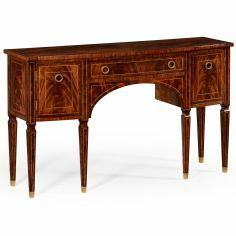 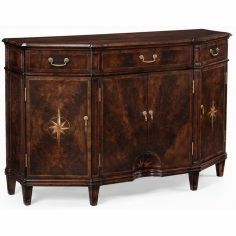 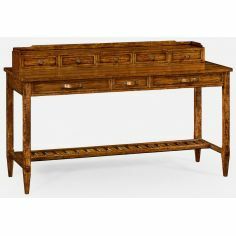 Antique pulls on the drawers enhance the looks. 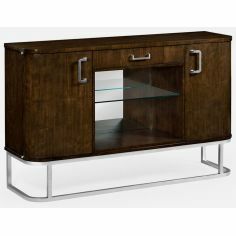 Dimension: 44 1/2" x 15 3/4" x 78 3/4"